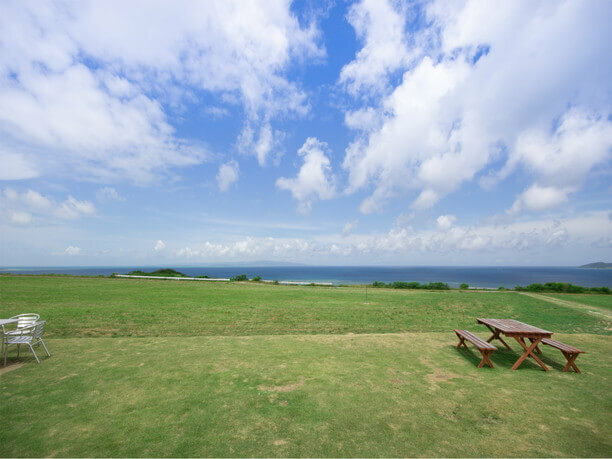 Ishigaki jima island Enjoy the panoramic view and gelato at Miru Miru Honpo! 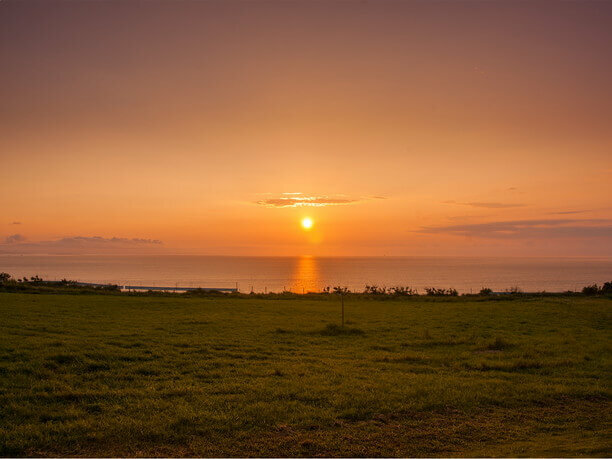 There are many spots where you can enjoy the sunset on Ishigaki-jima Island. sometimes you will not make it in time for sunset. Also, if there are young children, with you, you need to be extra careful! The hills of the cape at dusk are dangerous. It is a good idea to leave a little early for the sunset so you can enjoy it. 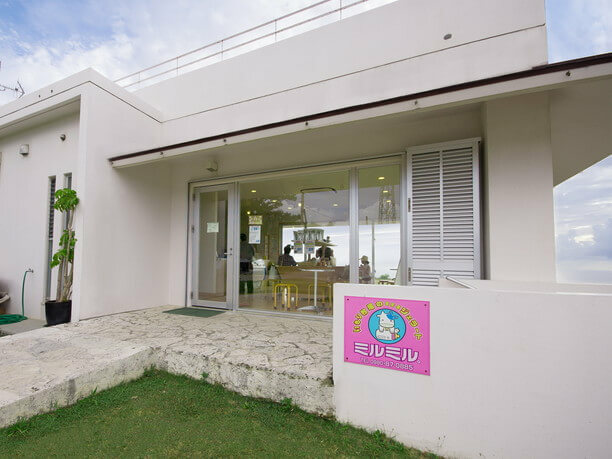 When you travel to Ishigaki-Jima island we recommend the gelato shop “Miru Miru Honpo!” It is a pastel-colored shop where you can enjoy delicious gelato and hamburgers. 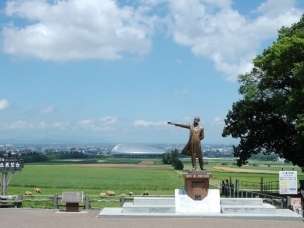 Enjoy a panoramic landscape just outside the city area! 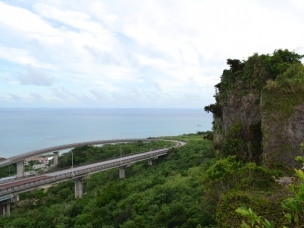 “Miru Miru Honpo” is located on a small hill looking down at Fusaki Beach. When going out from the urban area, take route 79. 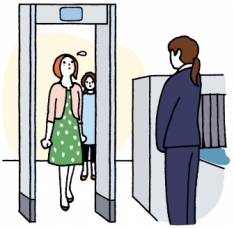 After crossing the Arakawa Gawa River you will see the Ayapani Mall bowling alley, turn left. There are signboards for their pink shop located in various places and they serve as a landmark. When you see three large radio towers, the shop is near. It will take you about 10 to 15 minutes by car when coming from the city. 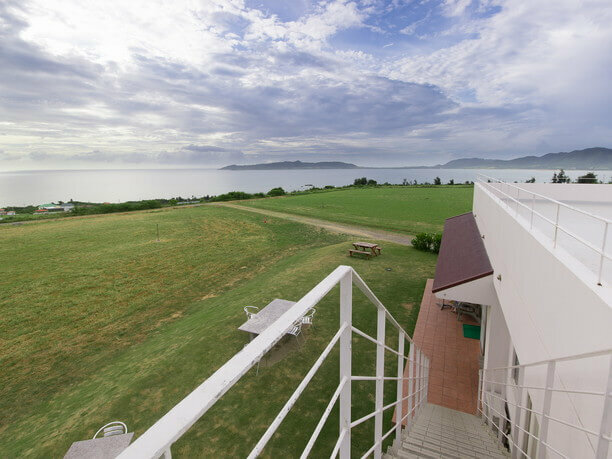 The interior has a feeling of openness, and you can see the grassland spreading out in front of you and the sea beyond. They have terrace seating with a nice view, and a viewing area on the rooftop. 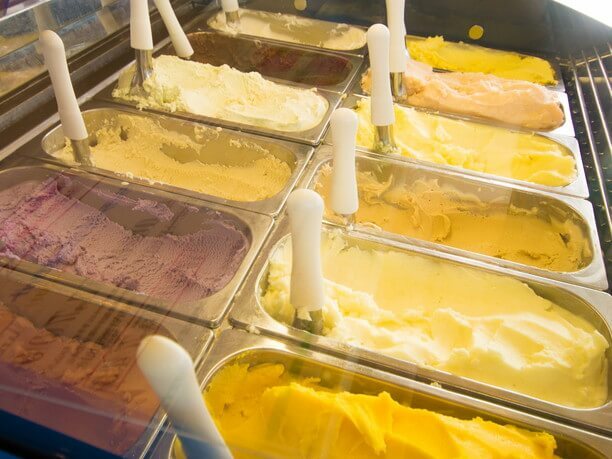 You can take a look into the gelato showcase to help you decide what flavor to try. There are 12 kinds of gelato in all. You can choose 2 flavors for 320 yen. 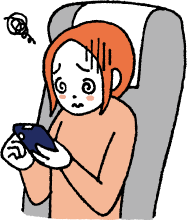 You can add Mango for an additional 100 yen! You can have your gelato in either a cup container or a cone. 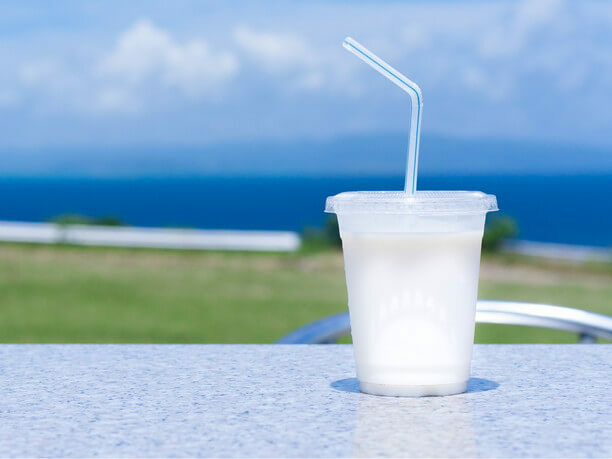 The most popular flavor is “milk.” They use raw milk from the Imori farm. When you put it in your mouth, the flavor seems to expand. The owner, Imori Chinoshi says his favorite is the “salt brown sugar” flavor! like to sample various flavors while consulting with family and friends. When you want more than just gelato, there are meat dishes using local pasture cattle! 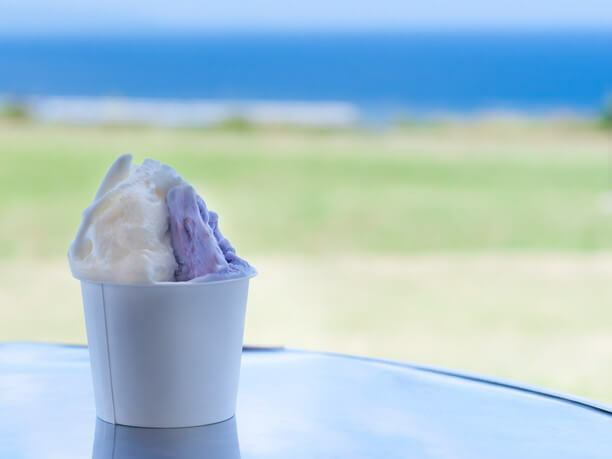 The shop is operated by Imori ranch so their milk gelato uses raw milk from the ranch. 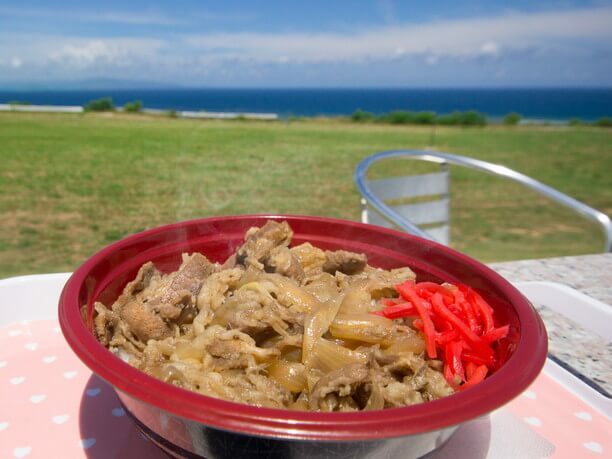 You can also order a beef bowl and taco rice made from cattle raised on their Ishigaki Island ranch. A meat dish is the perfect thing to order when Gelato alone is not enough! 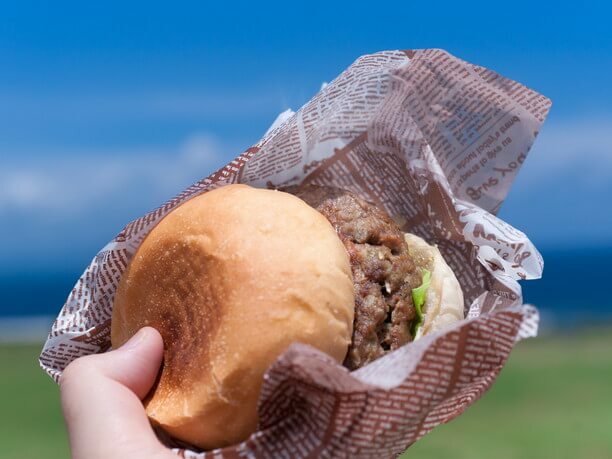 We recommend having the “Mirumiru Burger.” It is a 1/2 pound burger for 470 yen. In order to keep the original taste of this meat which is carefully raised on the island, the seasoning is kept to a minimum. Because it is a cattle ranch, you can of course drink fresh milk. 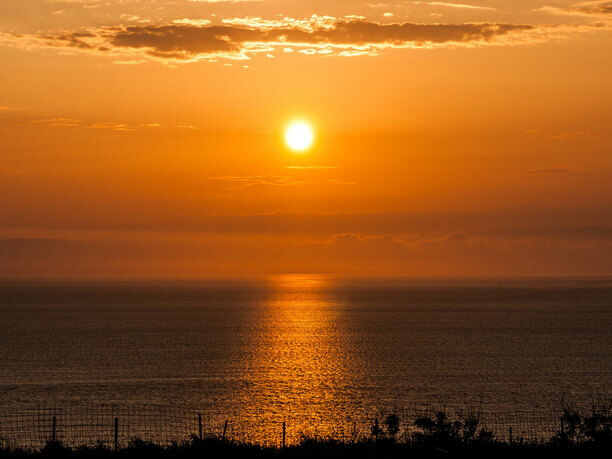 Enjoy waiting for the sunset by watching the panoramic landscape! It is very pleasant to enjoy gelato and a burger under the blue sky. Because it is such a fine view, it is worth coming to see the sunset. The “Miru Miru Honpo” closes at “sunset!”. So after researching the time of the sunset in advance, It is best to arrive at the shop at least half an hour before! The color of the sky slowly changes as the sun goes down! As the sun goes down the sound of the insects gets louder and louder and the air gets cooler! A trip to this gelato and burger shop will satisfy all five senses! In the Ishigaki Airport there is a "Miru Miru Honpo" airport shop. There are several kinds of gelato that are only available at the airport store, so please check it out when you return from Ishigaki jima. Because Ishigaki Island is located in the western part of Japan, the time of sunset is late. So that you do not have to sit around and wait for the sunset, it is a good idea to check the sunset time in advance. When looking on the right side of the island, toward the sea, you will see the Zakie peninsula and Oganzaki cape. On the left you can see isolated islands such as Nishi Omote and Taketomi jima islands. 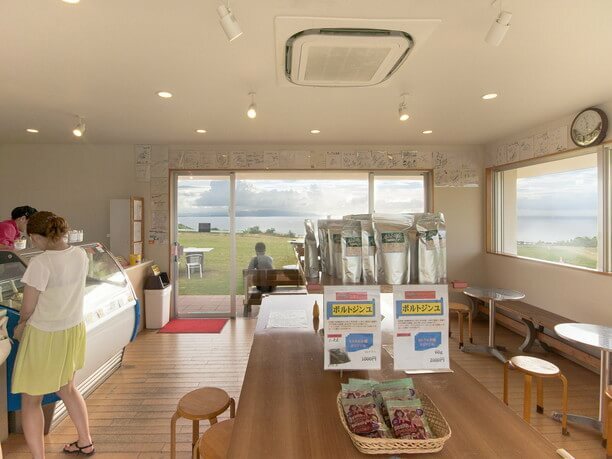 Gelato shop of Imori ranch "Ishigakijima Miru Miru Honpo"
Along the Tadahama Coast of the Ishigaki-jima island, even in the city area star observation is easy! Kouri Bridge to Kouri Island: A Superb view you are going to love.